Stephen Ferris won’t have to worry about the chancellor’s familiarity with the college he will head later this year. That’s because he will take over July 1 as dean of the College of Business and Administration at the University of Colorado at Colorado Springs for Venkat Reddy, who became interim chancellor of the campus in December 2016 and five months later had the interim removed from his title. Reddy had headed the school since 2005 and was credited with boosting enrollment, starting its bachelor of innovation degree program, expanding online degree programs and developing alliances with overseas business schools. Business school professors Eric Olson and Cathy Claiborne served as interim deans; Claiborne retired last year. Ferris spent more than 24 years at the University of Missouri at Columbia, most recently as director of the Financial Research Institute and the JH Rogers chair of money, credit and banking. 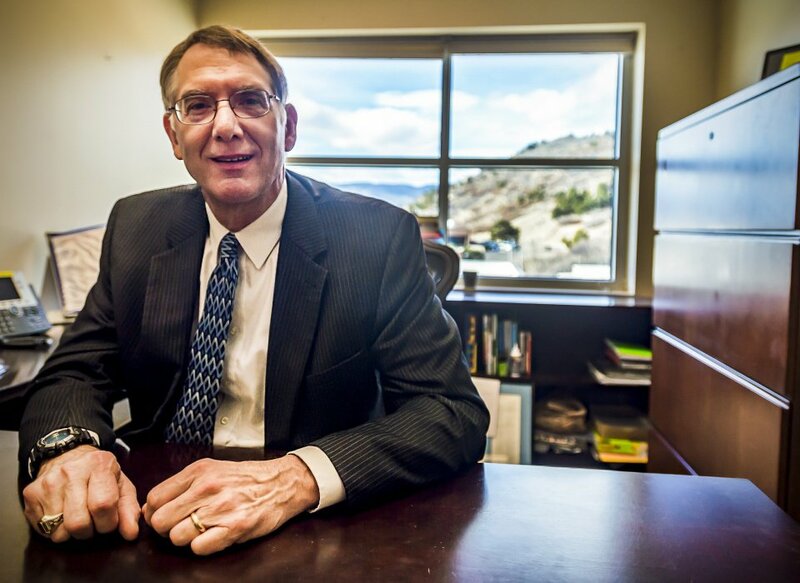 He also spent 1½ years as interim dean of the university’s Trulaske College of Business and 10 years as chair of the school’s Finance Department. Ferris spent 10 years at Virginia Polytechnic Institute and State University in Blacksburg, Va., as an assistant and associate professor of finance and two years as a finance instructor at Duquesne University in Pittsburgh. Ferris received bachelor’s degrees in mathematics and French from Duquesne University, master’s degrees in strategic studies from the Army War College and finance from the University of Pittsburgh and a doctoral degree in finance with a minor in microeconomics and quantitative methods from the University of Pittsburgh. He served as a commissioned reserve officer in the Navy, deployed to Kuwait during the Iraq War and retired as a commander from the Joint Staff at the Pentagon. The UCCS business school has about 1,100 undergraduate and 350 graduate student. It’s master’s program in business administration was ranked 54th among all colleges last month by U.S. News & World Report. Ferris was interviewed Feb. 2 about his plans for the college. Question: What attracted you to UCCS and this position? Answer: There is tremendous opportunity here. It is a (nationally) accredited college of business with a strong, vibrant faculty and located in a growing area. Part of the decision (in taking the position) was that the chancellor is very innovative, has a deep understanding of the business school and a strong vision for the campus as a whole. I wanted to be part of that team. Q: Your predecessor will be the supervisor of your boss (the provost); is that an issue? A: No. He is the chancellor, so his view will be the entire campus. I am very appreciative that he left the college in a strong position both fiscally and in reputation. He is turning over a very well-run organization. Q: What changes do you plan to make with the college? A: At this point, I am here to learn, listen and engage the organization before I propose anything new. A lot of times, people don’t take the time to learn the faculty and staff before they propose initiatives. I want to learn and listen before I start to propose. Q: What is the greatest accomplishment so far in your career? A: When I was interim dean at University of Missouri for 18 months, I led a large college with 25 study-abroad programs, which probably had more than 800 students. Being able to turn on the global mindset for students, most of which had never been overseas, that there is a world beyond Missouri and the U.S., and the need for multiple cultures, is a deeply meaningful accomplishment. Q: Do you believe your military service will help you in your new role? A: Everyone thinks of military leadership as command. Academic leadership is different, requiring leadership of a different type – inspiring, coordinating, nurturing and visioning. You play by a different set of rules. In the military, you are required to inspire, coordinate and nurture, but also an important part of the dean’s role is to develop the faculty’s professional skills and abilities at all levels. It is something I take very seriously. There probably are a lot of former and current military on campus and certainly my experience will allow me to understand their challenging career path of balancing duty, family and academics. It requires time management skills to be successful. Q: Is there anything in the past you would do differently now if you could? A: After I retired from the Navy in 2011, I took up drumming (for a rock band) as a hobby. I had no musical experience. I wish I would have taken it up much earlier. I never had the confidence to do so. I will make a fool of myself, but that is okay. Be confident because it is okay to fail. You have to try and challenge yourself a bit. People can learn from failure if they are willing to be objective about it, critically analyze the sources of failure and make corrections and changes. If you want to cover (your failures) with excuses, it reduces your ability to recover from your failures. Q: What will be your primary area of emphasis as dean? A: An important part of the College of Business is knowledge discovery and I want to add to the knowledge of business practices. I have had a 35-year career in studying finance and capital markets that will contribute to the college’s ability to continue that. I have taught at all three levels – undergraduate, master’s and doctoral – and that knowledge base will help me work with the faculty in advancing and developing our leading-edge curriculum. Questions and answers have been edited for clarity and brevity.